In recent years there has been a renewed interest in research offering a close-up examination of economic life. In particular, ethnographic research has increasingly shed light on the multiple ways in which economy, culture and technology intersect, and in which the economy as an object is constituted and performed. Fertile inquiry has been conducted into the world of economic policy-making and expertise, the media’s role in the public economic discussion, the configuration of markets and economic subjects, the nature of economic calculation and its material devices, and the variety of economic knowledges, among other topics. This workshop will focus on the social studies of the economy in Latin America. 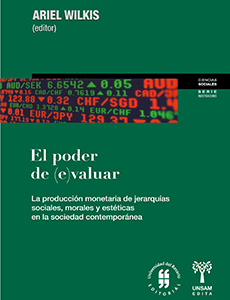 It aspires to bring together a plurality of perspectives on the social nature of the economy in the region, and to discuss the advantages, limitations and challenges of the social studies of the economy for understanding Latin America’s political economy. Sub-Theme #3: Freedom VS. Equality? Disorganization and Subversion in Capitalist Democracy. Convenors: Alison Pullen; Carl Rhodes; Javier Hernández; Juan Espinosa. Sub-Theme #8: Organization and The Ethics Of Office. Convenors: Anne Roelsgaard Obling; Kirstine Zinck Pedersen; Paul Du Gay; Thomas Lopdrup-Hjorth; Vicente Sisto Campos. Sub-Theme #12: The Organization of Multiple and Contested Modes of Valuation. Convenors: Christian Frankel; José Ossandón; Juan Espinosa; Tomás Ariztía; Trine Pallesen. [From Charisma-Network] Call for a papers for a Workshop in the Sociology Department at the University of Warwick, February 13th 2015. Everyday Market Lives. Organised by Lynne Pettinger (Sociology, Warwick) and Liz Moor (Media & Communications, Goldsmiths)*. Deadline for abstracts: 31st October 2014.